We kinda knew it already, but when LeBron James recently claimed that, “You probably don’t want to be around when my patience runs out,” we immediately thought about his young teammates and the baking they may cop from the King, should the situation arise. It’s true that JaVale has had a killer start to his tenure with the Lakers, but let’s not forget his sub-par basketball IQ, which gets him featured on Shaqtin’ A Fool more often than not. And if he pulls out too many vintage McGee bonehead plays, look out. 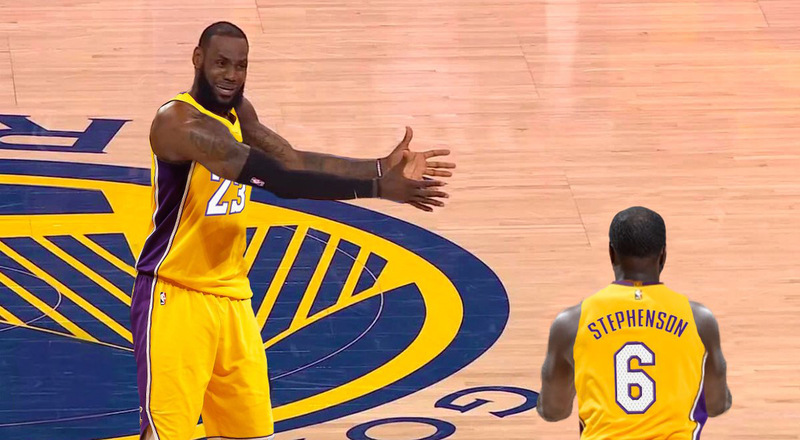 Lance Stephenson is unique. And we’re not just talking about off the court. His high-risk, high-reward style of play, will put Stephenson right in James’ sights. He can be either the best or worst teammate to have on the court. Prone to changing momentum — both ways. One word. Defense. He lacks it, and if it gets exposed down the stretch of some important games, Kuz, the king of playful roasts will get roasted himself. Who else would number 1 be? Unfortunately for Lonzo Ball, he is a walking circus — but that’s not really his fault. He’s doing his thing, but his family providing more harm than good.